It's a credit to Myrna Loy's extraordinary talent that she transitioned so effortlessly from an exotic femme fatale to the epitome of American womanhood so easily. The documentary Myrna Loy: So Nice to Come Home To, hosted by Kathleen Turner, explores Loy's life and work and makes for a good primer into this most remarkable performer. Loy started out as a dancer with no interest in the nascent film industry apart from a chance to perform in the pre-show entertainment the various Hollywood theater palaces had. She had no desire to act, but found work as an extra, including the mammoth production of the original Ben-Hur. The work was steady, and once sound came in, Loy found herself in demand thanks to her natural tones. Oddly, the studios she worked for, Warner Brothers and MGM, insisted on casting her as an exotic woman both in the silent and early sound era, including some oddball choices such as The Mask of Fu Manchu, where she played the daughter of the notorious Chinese character played by Boris Karloff. However, in the same year The Mask of Fu Manchu was released, 1932, she made another film that started her on the road to another and more natural screen image: the model American woman. New Morals for Old with Robert Young allowed her the chance to speak in her natural voice and a chance for some light comedy. It wasn't until she met two other men that she became the Myrna Loy we all know and love. The first was director Woody Van Dyke, known as 'One-Take Woody' due to his fast directing style. The second was William Powell, with whom she would eventually make a total of fourteen films. Their first collaboration, Manhattan Melodrama, had some unintended drama when notorious gangster John Dillinger was lured to his death at the Biograph Theater, which was showing Manhattan Melodrama and starred Dillinger's favorite actress. Upon learning of her unintentional role in Dillinger's death, Loy felt genuine sadness that she was in a roundabout way responsible for his death, somehow used as bait. Loy wasn't just Dillinger's favorite actress: she won a poll of moviegoers naming her 'The Queen of Hollywood', with frequent costar Clark Gable as 'The King'. Loy, however, was starting to make waves of her own: she used her clout to go on strike for better pay, and won. Loy is most remembered for the Thin Man films she and Powell made, and So Nice to Come Home To touches on what makes them work. First, it showcased two actors who had been typecast breaking against their previous screen images to remake themselves. For Powell, he moved from suave villains to charming comic, for Loy, from dramatic to more lighthearted fare. The Thin Man series allowed them to play up to their strengths and cemented them as one of the Great Duos in screen history. Second, the Thin Man films showcased something that had rarely been seen on screen and something still rare today: a genuinely happy married couple. Nick and Nora Charles were not perfect, but they were perfect for each other. Third, the Thin Man series showed that while it was a product of its time, with the posh Nora sometimes getting pushed to the side by 'the man', Nora was a better heroine and role model for women than she's been given credit to. She pushed back and was able to more than hold her own at subtle or overt sexism on or off the screen. Both Nora Charles and Myrna Loy were able to be simultaneously feminist and feminine, a true iron hand in a velvet glove. She maintained her elegant, beautiful and classy manner but was also solidly committed to her liberal worldview. Her manner and grace is what makes her stand out. No man would find either 'threatening' or 'strident', because she wasn't. However, any man who thought she could be pushed or rolled over because of her gender was in for a rude awakening. So Nice to Come Home To touches on the end of her film career, giving us surprising details such as the fact that between 1941 and 1946, Loy made only one film (The Thin Man Goes Home in 1944). In the war years, she worked full-time with the American Red Cross, overseeing entertainment at military hospitals. Once her major screen roles came to an end, she moved to New York, working in theater. The documentary ends with footage of Kathleen Turner at Loy's Kennedy Center Honors presentation, thanking her for paving the way on so many fronts. She quotes Loy's questioning of MGM brass when it came to representation long before the term was even known. "Why must Negroes always play servants? ", Turner quotes Loy as asking. "Why can't we have a film where they are walking up the courthouse stairs with a briefcase?" So Nice to Come Home To is a love letter from its writer/director, the late film critic Richard Schickel to Loy the actress. As Loy was still alive when So Nice to Come To was made, there is no chance to see that some information would need updating. 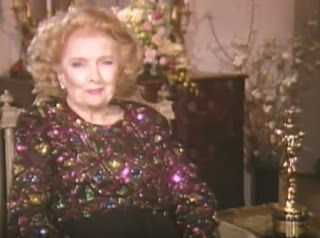 For example, the year after the documentary was made, Myrna Loy was presented with an Honorary Oscar for Lifetime Achievement, which she accepted via satellite. 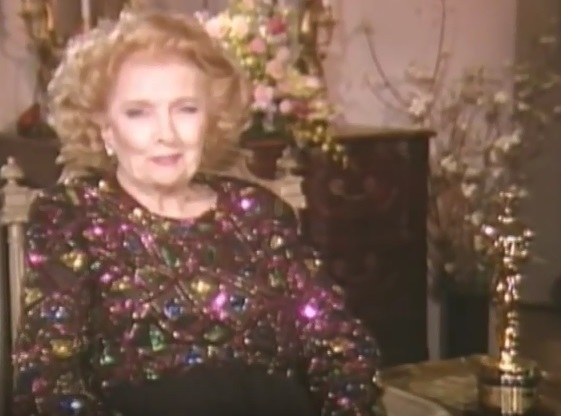 The documentary mentions that she never won an Oscar, but it failed to mention that she was never nominated for one, a shocking omission that makes a mockery of The Academy. While So Nice to Come Home To, to its credit, does touch on one or two negative aspects of the Thin Man films, it didn't delve much into them. It touches on the sexism of keeping Nora at times 'out of the loop', but more importantly, on the alcoholism in them. The documentary mentions that the films take too lightly the excessive drinking the Charleses partook of, but I would think that people watching now might be more aghast at how much Nick and Nora boozed, particularly Nick. Essentially, they were functioning alcoholics, or at the very least Nick was and Nora was an enabler. The boozing is dated and any potential remakes might want to pull back on the joys of drunkenness, though again they weren't made to be serious. So Nice to Come Home To also does not talk much if at all about Loy's personal life, barely mentioning that her four marriages all failed. If one comes to the film looking into what drove her, what her mindset was, or what struggles she may have had outside the camera, they won't get much if any information here. The film is more about her career and what made her such an extraordinary figure. I put it down to being a mix of class and sass, being elegant while keeping the common touch. She strikes me as the type of woman who knew what fork to use at a formal dinner but who would also gently guide the person who didn't into choosing the right one. I imagine Loy would show respect and courtesy but would not suffer fools gladly, telling people off in a most sophisticated way. Of course, one wonders what people would make of a-then recently discovered color film where Loy is dancing in a Chinese tableau, where she'd be accused of 'cultural appropriation'. 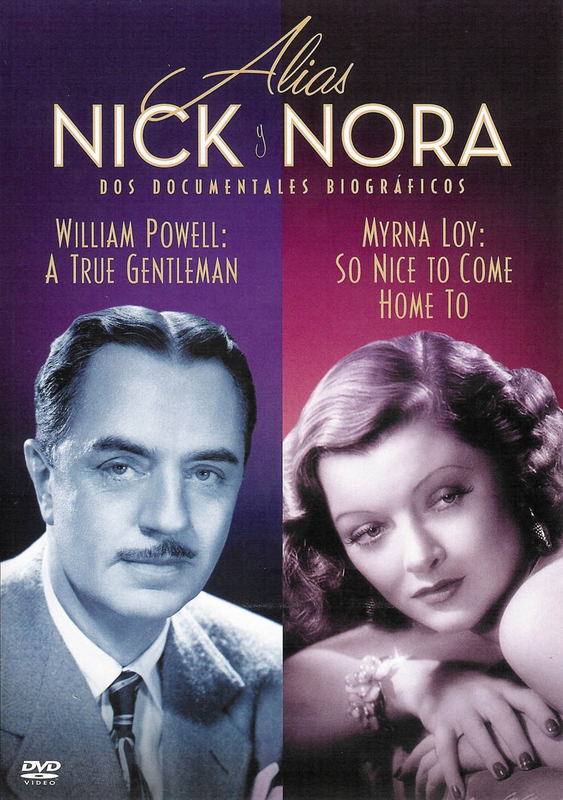 Myrna Loy: So Nice to Come Home To is a good way to learn about Loy's career and what made her so special. One may not learn much about her beyond the screen, but one comes away with deep respect for a woman who was beautiful in just about every way.